Why is CrioBrü so good for you ? Find out more about our healthy coffee substitute. Did you know you can cook with CrioBrü? 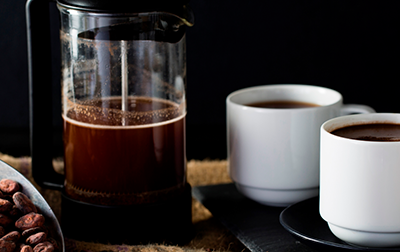 Crio Brü, the great tasting coffee alternative is made from 100%, perfectly roasted cocoa beans. Nothing more, nothing less. No sugar, no chemicals, no gluten, no dairy. Although the cocoa beans are roasted to make Crio Brü, many of the health benefits found in the raw cocoa beans are preserved, giving you a superior product with sky-high antioxidants, abundant minerals and healthy energy. 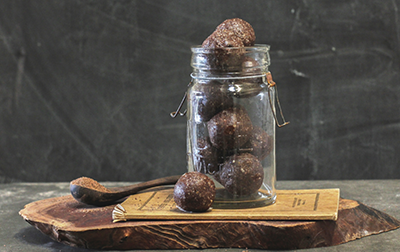 Raw cocoa beans, by weight, have more antioxidants than almost any food in the world. Even after it has been roasted and brewed, Crio Brü has 150% more antioxidants than pure pomegranate juice. With only 10 calories, 0 grams fat, 0 grams sugar, 0 milligrams sodium and 1.5 grams of carbohydrates per 4.25 oz. cup, as well as the fact that cocoa is an appetite suppressant, Crio Brü is without question the most slimming “chocolate” drink on the market. Crio Brü’s various varieties all have a taste uniquely their own. Because Crio Brü is roasted and brewed, it has the consistency, roasted flavor and complexity of a fine coffee, yet because it is made with cocoa beans, its primary flavors are chocolaty. 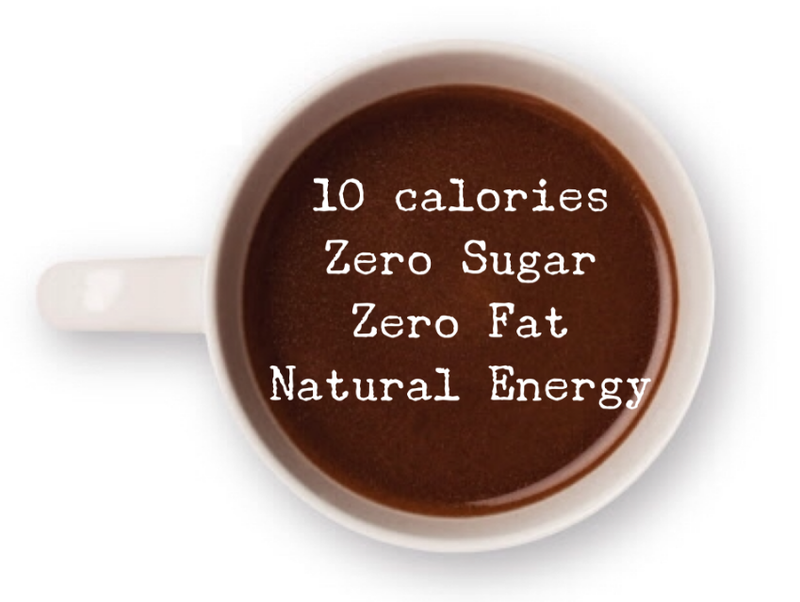 Just as with coffee, sweetener and creamer can be added to taste, or drink it black for an intensely flavorful, low-calorie hot drink. As you experience Crio Brü, you may notice the coconut and cinnamon in Cavalla, or the red berries and dark spice in Vega Reál, or the jasmine and nutty after-tones in Coca River. 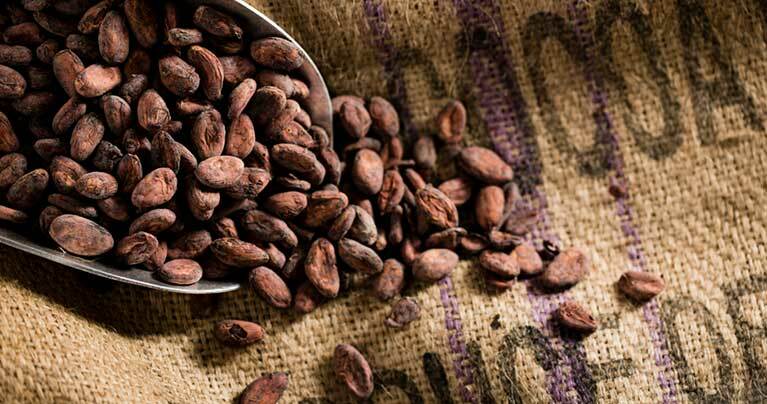 The most remarkable fact about the flavors in Crio Brü, as with any fine chocolate, is that they are found naturally in the cocoa bean itself! Crio Inc. is committed to go green in every aspect of our business. For example, our first corporate offices housed a state-of-the-art geothermal system that helped to heat and cool the building. And as a Champion supporter of Rocky Mountain Power's BlueSky program, Crio is ensuring sustainable growth by making Crio Brü with wind power. One of the best ways for you to join Crio in going green is to reuse the used Crio Brü grounds, such as adding 1-2 tablespoons to a smoothie or protein shake, or using them as a secret ingredient when baking brownies, cookies and other desserts. Another way Crio looks out for the environment is ensuring our cocoa is 100% responsibly grown and ethically traded. We buy organic beans whenever possible. And we always pay fair trade prices or better for all our cocoa beans, which improves the lives of our farmers and their communities.